Kim’s love for animals started at a very young age. Her family pointed out that she would often drift away from people and wind up spending time with the animals wherever they were. 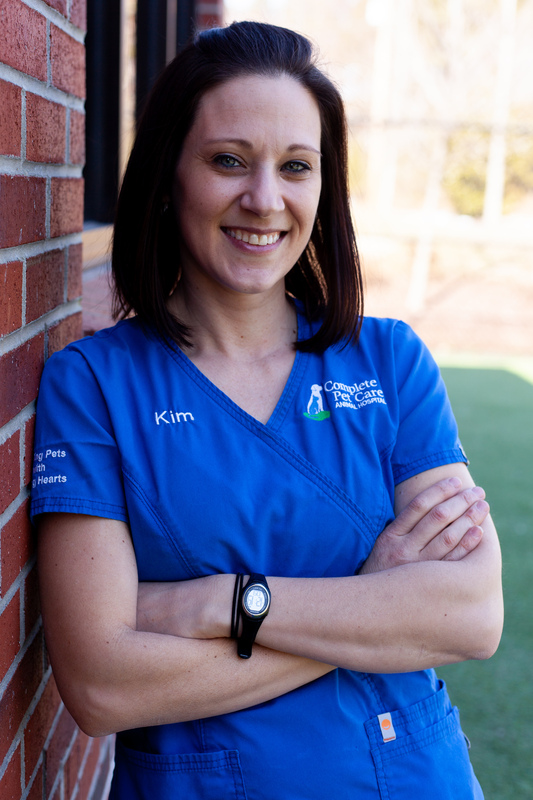 Originally from Long Island, NY, Kim moved to North Carolina in 2007 and started her animal career working for the local county Animal Control Department. She came to the Complete Pet Care at Heritage team when the hospital opened. She loves being able to help give quality care to the animals that come into the hospital and treat them as if they are her own. When not at work, Kim enjoys spending time with her husband, daughter – Leah, dogs – “Mia” and “Charlie,” and cats – “Puss” and “Cora.” Trips to the Blue Ridge Mountains are a favorite getaway, where she and her family love to go camping and hiking. Kim also loves being outside relaxing or doing yard work. She prefers the warmer months of the year, enjoys a good sense of humor, and prides herself on delivering a high quality and sincere level of customer service to Complete Pet Care clients and patients.